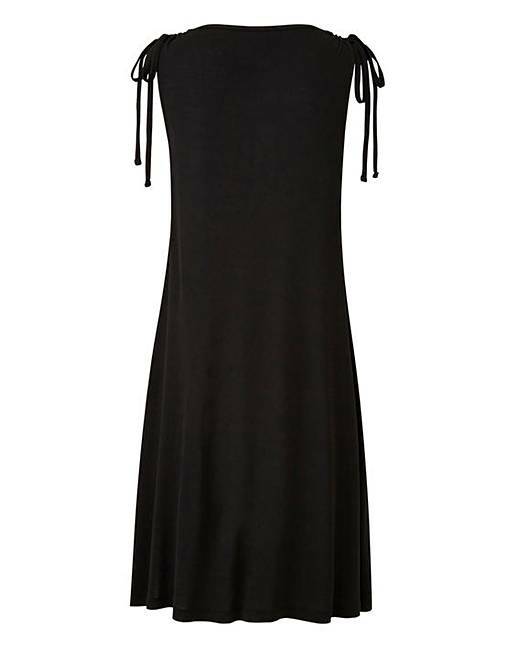 Black Beach Dress is rated 3.9 out of 5 by 9. 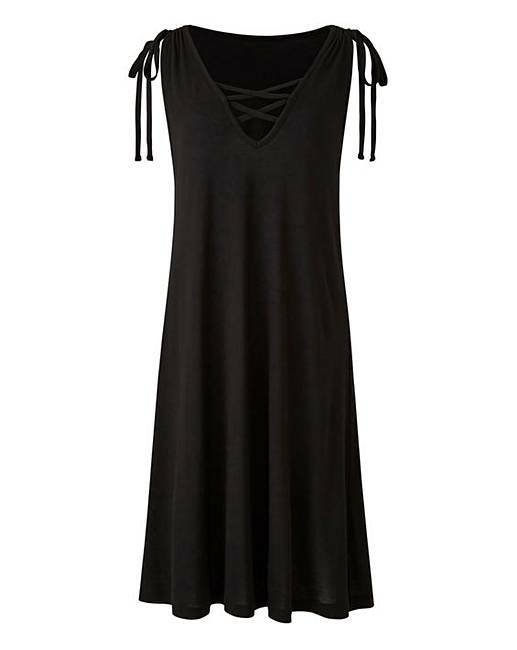 Beach to Beach introduce this easy to throw on beach dress, with cross detailing to the front and tie straps. In a breezy fabric that will keep you cool on summer days. Rated 4 out of 5 by Susie 42 from Nice neckline I bought this dress for my holidays it's a nice soft material and fits really well.the neckline and sleeves are nice, making look different to the usual beach dress. Rated 3 out of 5 by Maz from Flattering dress Lovley dress great for pool side coverage but be careful when hand washing as mine has lost its shape so brought another not yet worn or washed so will dry and dry flat and reshape whilst wet . Rated 5 out of 5 by Donnaj from Really lovely Glad I got this. I wish I had it in the other colour too. Rated 5 out of 5 by Jenny from Perfect Fantastic for day wear and wearing over swimming costume. Doesn’t cling or gape. I would really recommend it. Rated 1 out of 5 by Janet from Very unflattering Very disappointed with this dress which looks great on the model. The fabric is cheap and thin and very unflattering to anyone over a size 10. I've returned this item but I really don't imagine this would wash very well and if it looks awful on new I could only imagine what it would be like after a couple of washes. Rated 5 out of 5 by Mrs Jelly from Perfect So purchased for my hol's to throw on in the mornings to go down to Breakfast. It covers all the right places and is a nice length.